Kevin Thompson is an author about client experience, a speaker, a consultant and a coach. He has more than 25 years of experience in leadership and helping organizations transform their service culture into unforgettable experiences. Kevin also has a background in health care, which I’ll be asking him about. Kevin and I have been attending the national conferences for the National Speakers Association for several years. One little secret about Kevin is that he has a very distinctive laugh. When I listen to recordings of sessions that I did not attend, I can tell if Kevin has been in the room and he’s been laughing. 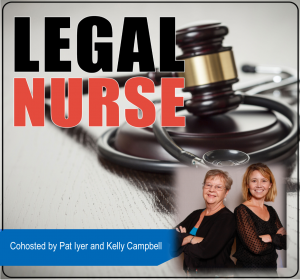 Book 10 of the Creating a Successful Legal Nurse Consulting Practice provides a deep dive into the relationship between legal nurse consultants and their clients. Working with attorneys is challenging and rewarding. Without a steady stream of attorneys who love working with you, your legal nurse consulting business collapses. Does this worry you? It should! The core of being a successful LNC is being able to effectively work with attorneys. You can have an aggressive marketing program to bring in new clients, but if you cannot retain them, you’ll be endlessly spinning your wheels. Your clients will stay with you when you understand what they want, how they are wired, and how you can do a fantastic job for them. When I ran my independent LNC business, some stayed with me for more than 20 years. 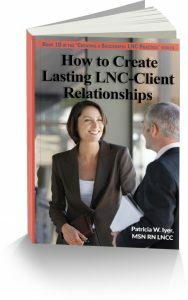 My new 2018 book, How to Create Lasting LNC-Client Relationships explains the best way to build a solid client retention program, using strategies that work to identify the desirable clients and avoid the trouble makers. This is an essential reference for every LNC. Order your copy today at http://LNC.tips/LNCClient and use the code listened to get a 25% discount off of the price. Kevin Thompson has a background in healthcare management and financial services uniquely positions Kevin as a thought leader. An inspiring presenter, he challenges clients to alter their mindset and embrace new paradigms. Kevin holds a Six Sigma Black Belt in process improvement, a Master in Public Administration and is a Distinguished Toastmaster. Suspended from preschool for talking too much, Kevin went on to become the class valedictorian and has been talking ever since.